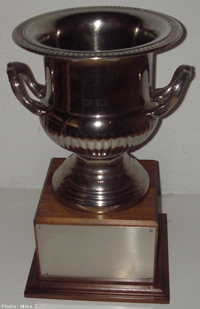 The opportunity for voting, for the Most Improved and the Most Inspirational trophies, is given to all of that particular year's registered CalCup racers. Voting requests are sent by e-mail at the end of the season's racing to all the registered racers asking for their votes. The CalCup organizers do not vote! The Vintage awards are a historical record of awards given in prior years for classes and fleets that are no longer active.